Attorney Emily McNeil practices exclusively in the areas of estate planning and probate administration. During law school Emily worked as a law clerk at a local law firm. Emily recognized early on her ability to comfort people through the estate planning process. She focused her studies on estate planning, estate and income taxation and also had a lesser concentration on business entities, including corporate taxation. Emily graduated from New England Law, Boston in May 2006, receiving her Juris Doctor degree. She was admitted to practice in Massachusetts later that year. Following her admission to the bar, Emily worked for several years as a staff attorney for the financial advisory firm GW & Wade, LLC, located in Wellesley, Massachusetts. There Emily provided clients with advanced estate planning and estate tax advice, as well as income tax planning and preparation. For several years following her departure from GW & Wade, Emily provided estate planning and income tax preparation and advice privately. 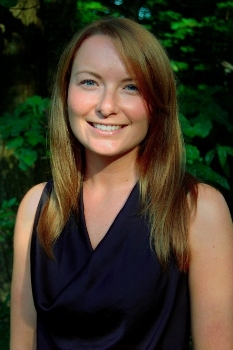 In 2011 Emily was thrilled to join the dynamic Boston firm, Charles River Law Partners, LLC, formerly Vaughn-Martel Law. Emily practiced as the firm’s sole estate planning and probate attorney for nearly five years, during which time she was recognized by Boston Magazine’s Super Lawyers, making the lists of ‘Rising Stars’ and ‘Top Women Attorneys’ in 2013, 2014, 2015 and 2016. A proud graduate of Framingham State University, Emily served as a Director of the Framingham State University Alumni Association for several years and was a visiting lecturer in the Department of Economics and Business Administration from 2012 to 2015, where she taught The Legal Environment of Business. In 2016 Emily founded Heritage Law, P.C. Emily strives to provide the highest quality legal service and advice to her clients while at the same time being extremely mindful of her clients’ wishes and of the fact that estate planning can be a delicate subject for many and that the probate process is often quite difficult for those going through it.